Match ends, Fenerbahçe 2, RSC Anderlecht 0. 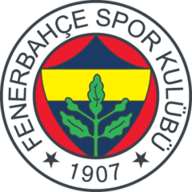 Second Half ends, Fenerbahçe 2, RSC Anderlecht 0. Landry Dimata (RSC Anderlecht) wins a free kick in the attacking half. Foul by Roman Neustädter (Fenerbahçe). Attempt blocked. Michael Frey (Fenerbahçe) right footed shot from the centre of the box is blocked. Assisted by Ismail Köybasi. Evgeniy Makarenko (RSC Anderlecht) wins a free kick in the defensive half. Foul by Michael Frey (Fenerbahçe). Offside, Fenerbahçe. Ismail Köybasi tries a through ball, but Michael Frey is caught offside. Substitution, Fenerbahçe. Mauricio Isla replaces Jailson. Attempt missed. Albert-Mboyo Lokonga (RSC Anderlecht) right footed shot from outside the box misses to the left. Assisted by Sven Kums. Foul by Albert-Mboyo Lokonga (RSC Anderlecht). Hasan Ali Kaldirim (Fenerbahçe) wins a free kick on the left wing. Offside, Fenerbahçe. Ismail Köybasi tries a through ball, but Hasan Ali Kaldirim is caught offside. Attempt missed. Islam Slimani (Fenerbahçe) right footed shot from outside the box misses to the right. Assisted by Ismail Köybasi following a fast break. Substitution, Fenerbahçe. Ismail Köybasi replaces Mathieu Valbuena. Attempt blocked. André Ayew (Fenerbahçe) left footed shot from outside the box is blocked. Second yellow card to Zakaria Bakkali (RSC Anderlecht) for a bad foul. Foul by Zakaria Bakkali (RSC Anderlecht). Eljif Elmas (Fenerbahçe) wins a free kick in the attacking half. Substitution, RSC Anderlecht. A. Najar replaces Alexis Saelemaekers. Substitution, RSC Anderlecht. Albert-Mboyo Lokonga replaces Adrien Trebel. 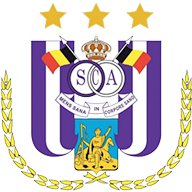 Zakaria Bakkali (RSC Anderlecht) is shown the yellow card for a bad foul. Foul by Landry Dimata (RSC Anderlecht). Martin Skrtel (Fenerbahçe) wins a free kick in the defensive half. Goal! Fenerbahçe 2, RSC Anderlecht 0. Michael Frey (Fenerbahçe) left footed shot from the centre of the box to the bottom left corner. Assisted by Mathieu Valbuena. Goal! Fenerbahçe 1, RSC Anderlecht 0. Mathieu Valbuena (Fenerbahçe) right footed shot from outside the box to the bottom right corner. Assisted by Hasan Ali Kaldirim. Offside, Fenerbahçe. Jailson tries a through ball, but Michael Frey is caught offside. Corner, RSC Anderlecht. Conceded by Roman Neustädter. Attempt blocked. Sven Kums (RSC Anderlecht) right footed shot from outside the box is blocked. Assisted by Zakaria Bakkali. Corner, RSC Anderlecht. Conceded by André Ayew. Attempt blocked. Zakaria Bakkali (RSC Anderlecht) right footed shot from outside the box is blocked. Assisted by Alexis Saelemaekers. Corner, RSC Anderlecht. Conceded by Harun Tekin. Corner, RSC Anderlecht. Conceded by Jailson. Attempt saved. Mathieu Valbuena (Fenerbahçe) right footed shot from the left side of the box is saved in the top centre of the goal. Assisted by Hasan Ali Kaldirim. Hasan Ali Kaldirim (Fenerbahçe) is shown the yellow card for a bad foul. Pieter Gerkens (RSC Anderlecht) wins a free kick on the right wing. Corner, Fenerbahçe. Conceded by Ognjen Vranjes. Landry Dimata (RSC Anderlecht) wins a free kick in the defensive half. Sener Ozbayrakli (Fenerbahçe) wins a free kick on the right wing. Offside, Fenerbahçe. Hasan Ali Kaldirim tries a through ball, but Mathieu Valbuena is caught offside. Corner, Fenerbahçe. Conceded by Thomas Didillon. Attempt saved. Eljif Elmas (Fenerbahçe) left footed shot from outside the box is saved in the bottom left corner. Assisted by Michael Frey. Foul by Bubacarr Sanneh (RSC Anderlecht). Michael Frey (Fenerbahçe) wins a free kick on the right wing. Roman Neustädter (Fenerbahçe) wins a free kick in the defensive half. Attempt missed. Pieter Gerkens (RSC Anderlecht) left footed shot from the centre of the box misses to the right. Assisted by Landry Dimata. Sener Ozbayrakli (Fenerbahçe) wins a free kick in the defensive half. Attempt missed. Michael Frey (Fenerbahçe) header from the centre of the box misses to the right. Assisted by Mathieu Valbuena following a set piece situation. Foul by Evgeniy Makarenko (RSC Anderlecht). Mathieu Valbuena (Fenerbahçe) wins a free kick in the attacking half. Attempt missed. Zakaria Bakkali (RSC Anderlecht) right footed shot from long range on the right misses to the left. Assisted by Sven Kums. Attempt missed. Michael Frey (Fenerbahçe) right footed shot from outside the box is too high. Assisted by Eljif Elmas. Foul by Eljif Elmas (Fenerbahçe). Second Half begins Fenerbahçe 0, RSC Anderlecht 0. Substitution, RSC Anderlecht. Bubacarr Sanneh replaces Sebastiaan Bornauw. First Half ends, Fenerbahçe 0, RSC Anderlecht 0. Alexis Saelemaekers (RSC Anderlecht) wins a free kick in the defensive half. Attempt missed. Landry Dimata (RSC Anderlecht) right footed shot from outside the box misses to the right. Assisted by Antonio Milic. Zakaria Bakkali (RSC Anderlecht) wins a free kick on the left wing. Ognjen Vranjes (RSC Anderlecht) wins a free kick in the defensive half. Adrien Trebel (RSC Anderlecht) hits the bar with a left footed shot from outside the box from a direct free kick. Zakaria Bakkali (RSC Anderlecht) wins a free kick in the attacking half. Attempt missed. Evgeniy Makarenko (RSC Anderlecht) right footed shot from outside the box misses to the left. Assisted by Adrien Trebel. Corner, RSC Anderlecht. Conceded by Martin Skrtel. Attempt blocked. Zakaria Bakkali (RSC Anderlecht) right footed shot from outside the box is blocked. Assisted by Pieter Gerkens. Attempt blocked. Roman Neustädter (Fenerbahçe) right footed shot from outside the box is blocked. Assisted by Mathieu Valbuena. Attempt saved. Eljif Elmas (Fenerbahçe) right footed shot from outside the box is saved in the bottom right corner. Assisted by Michael Frey. Corner, Fenerbahçe. Conceded by Pieter Gerkens. Delay in match Ognjen Vranjes (RSC Anderlecht) because of an injury. Delay in match André Ayew (Fenerbahçe) because of an injury. Attempt missed. Ognjen Vranjes (RSC Anderlecht) header from the centre of the box misses to the left. Assisted by Sven Kums with a cross following a corner. Delay in match Sener Ozbayrakli (Fenerbahçe) because of an injury. Corner, RSC Anderlecht. Conceded by Sener Ozbayrakli. Attempt blocked. Antonio Milic (RSC Anderlecht) right footed shot from outside the box is blocked. Assisted by Landry Dimata. Foul by Antonio Milic (RSC Anderlecht). Attempt missed. Hasan Ali Kaldirim (Fenerbahçe) left footed shot from a difficult angle on the left is close, but misses to the right. Assisted by Michael Frey. Attempt missed. Islam Slimani (Fenerbahçe) header from the centre of the box is close, but misses to the left. Assisted by Sener Ozbayrakli with a cross. Corner, Fenerbahçe. Conceded by Sebastiaan Bornauw. Offside, Fenerbahçe. Sener Ozbayrakli tries a through ball, but Islam Slimani is caught offside. Attempt missed. Islam Slimani (Fenerbahçe) header from very close range is too high. Assisted by Mathieu Valbuena with a cross. Attempt missed. Zakaria Bakkali (RSC Anderlecht) right footed shot from the right side of the box is close, but misses to the right. Assisted by Alexis Saelemaekers. Attempt blocked. Evgeniy Makarenko (RSC Anderlecht) left footed shot from outside the box is blocked. Assisted by Alexis Saelemaekers. Landry Dimata (RSC Anderlecht) wins a free kick on the left wing. Foul by Sener Ozbayrakli (Fenerbahçe). Attempt missed. André Ayew (Fenerbahçe) left footed shot from outside the box is too high. Assisted by Islam Slimani. Attempt blocked. Pieter Gerkens (RSC Anderlecht) right footed shot from the right side of the box is blocked. Assisted by Zakaria Bakkali. Attempt blocked. Alexis Saelemaekers (RSC Anderlecht) left footed shot from the right side of the box is blocked. Assisted by Sven Kums. Zakaria Bakkali (RSC Anderlecht) wins a free kick in the defensive half. Alexis Saelemaekers (RSC Anderlecht) wins a free kick on the right wing. Zakaria Bakkali (RSC Anderlecht) wins a free kick on the right wing. Antonio Milic (RSC Anderlecht) wins a free kick in the defensive half. Attempt saved. Islam Slimani (Fenerbahçe) header from the centre of the box is saved in the top left corner. Assisted by Mathieu Valbuena with a cross.